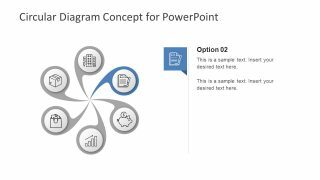 The Animated Swirl Diagram for PowerPoint is a circular template with infographic segments. The PowerPoint diagram shows 6 segments in a circular shape with infographics to represent various topics. But the first slide offers a special animation of circular spin. 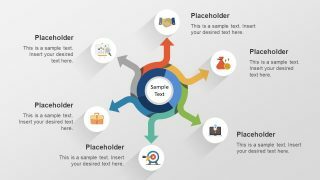 This template is a professional presentation of 6 stage process cycle. It illustrates an abstract flower where each petal represents a part of process or system. 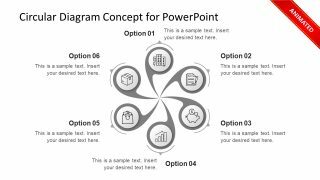 There are 10 slides in this template with slight changes in layout designs. 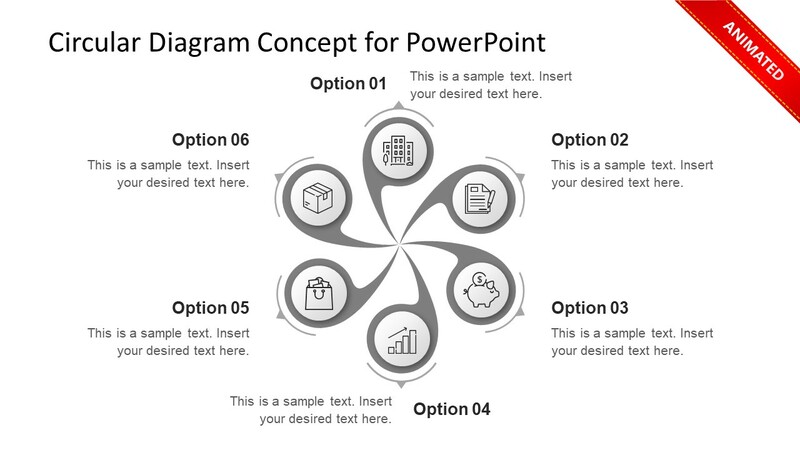 For example, the first template is an animated spin of 6 steps diagram in gray color. The second and third slide provides a simple overview of layout in gray and blue respectively. Whereas, the fourth template shows back to back pattern of blue and gray. However, the additional 6 slides demonstrate two content layouts highlighting each segment individually. 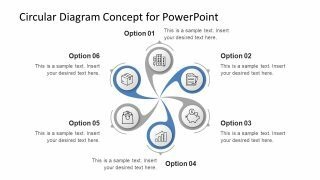 The Animated Swirl Diagram for PowerPoint is 100% customizable template of 6 steps spiral layout. The users can alter gray and blue colors to make this presentation colorful. They can brighten up the segments by using shape fill option or create a gradient effect by applying shades. Furthermore, replace the infographic icons with more relevant images according to presentation topic. 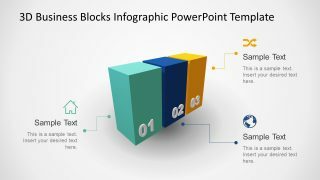 Or, find a similar flat design with different infographics in 6 steps twirl diagram PowerPoint. 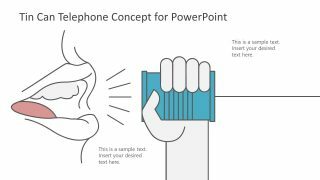 But for quick edits, simply change the text and its font, alter theme, and one last proofread before delivering a presentation. 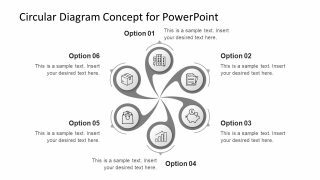 The animated PowerPoint diagram of 6 steps spiral is basically a collection of independent objects. 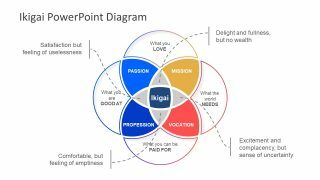 This swirl diagram is a combination of process cycle and stage flow diagram for multi-purpose presentations. It could benefit professionals in different walks of life. Such as corporate organizations, education, science research, technology, medical, or fine arts. With the help of minor customizations, the template of swirl diagram can present any topic.